Solural Pharma is a Danish specialty pharma founded in 2012. Solural Pharma is situated in Ballerup at the outskirts of Greater Copenhagen where we have a modern state of the art Development laboratory and Manufacturing facilities that we use to support our customers. The Solural Pharma employees all have strong expertise in all aspects of pharmaceutical development because of their many years of experience from major pharmaceutical companies in the development of new successful drug products. Solural Pharma is specialized to offer Pharmaceutical Development support especially in case where challenging physical/chemical properties or when specialized release profiles of potentially more active drug substances demands the need for dedicated technologies. QA, QC and QP release of Investigational Medicinal Products. We have a strong record of accomplishment in supporting minor biotech companies. We have strong expertise in developing Combination Products where the individual components each are having a unique delivery profile. We have supported many customers in getting new IPR and thus new commercial potential by re-inventing their products into efficient combination products. For very lipophilic products, our proprietary Lymphatic Targeting Technology allows us to develop complete new and unique products showing excellent bioavailability by overcoming a high first pass metabolism and removing food effect. It is a strong desire for patients that their medicine can be taken independent of meals, a benefit often not possible today, – but where the Solural Technology can make a difference. Solural Pharma ApS meets International Quality Standards regarding the GMP manufacturing and testing of Products. This includes the US FDA requirements. Solural Pharma ApS is certified by the Danish Health Authorities for GMP manufacturing and Quality Control testing of new oral and topical Investigational Medicinal Products. We support CMC development and project management needs for our customers. We use our long experience in the Pharmaceutical industry to help our customers to develop smooth CMC and manufacturing strategies that meets the regulatory expectations and fits to the overall development strategy. We also help our customers to oversee third party development work including early phase clinical trials, preclinical studies and pharmacokinetic investigations. This will assure that work is done professional and cost effective to meet required quality and regulatory standards. 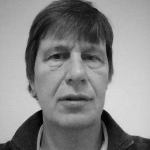 Peter G Nielsen is a biochemist by training and has more than 25 years of experience in Pharmaceutical Drug Development. He started his drug development career as a head of analytical chemistry at Ferrosan A/S before he joined Novo Nordisk A/S, where he spend more than 20 years in different managerial position. His latest position was as corporate Vice President for all formulation research and development at Novo Nordisk A/S. In 2007 he joined Lifecycle Pharma A/S as executive Vice President, overseeing all technical operations including Pharmaceutical Research and Development, QA/QC and manufacturing. In this role he accomplished to get several drug products through the development process to registration and also one product now approved by the FDA. 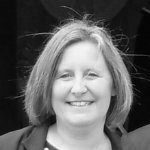 Ann Fullerton holds a PhD in pharmacy and has more than 25 years experience in drug research and oral and topical drug product development. She has more than 15 years of extensive leadership and management skills as line manager as well as strong project management skills at all stages of development. From 2001 to 2006 she served as Head of Pharmaceutical Formulation at LEO Pharma having the responsibility for both formulation development, investigational drug supplies and packaging development. From 2006 to 2008 she held a position as senior project manager at Curalogic, a small, virtual Danish biotech company where she was leading a project in clinical phase 3. From 2008 to 2012 she became responsible for Formulation and Technology Development at Veloxis Pharmaceuticals latest as Vice President. She has published more than 40 scientific papers as well as several patent applications. Bent Højgaard holds a MSc in pharmacy. 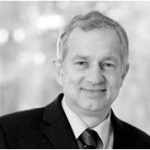 He has +27 years of experience in technological tablet product development including formulation development, process development, technology transfer and production of clinical trial products from employment within Ferrosan, Novo Nordisk and Veloxis. He has issued several patent applications. Bent Højgaard is responsible for all laboratory process development and manufacture of our new formulations. We are relying heavily on professional advisors within specific areas. career@soluralpharma.com for more information about available positions.